Home / Verbal / The Brews Bros E Liquid Vaping Flavours. The Brews Bros E Liquid Vaping Flavours. The Brews Bros are growing in popularity thanks to their high quality e-liquid vaping flavours range. High quality is ensured as the Brews Bros ethos is based on customer satisfaction, producing locally made products at affordable prices. All the products are mixed and bottled by hand to ensure you receive the best, highest quality vaping flavours for you to enjoy. The Brews Bros sample pack offers you the chance to try out their e-liquids range so you can decide which e-liquid is your favourite, whilst being cost effective giving you the opportunity to experience all the vaping flavours. Applack. The apple and blackcurrant is the perfect balance between the both to enjoy this fruity concoction that is refreshing. Black Reserve. A tobacco flavour with a surprising sweet taste to satisfy anyone looking for a tobacco flavour with a twist. Cereal Killer. Enjoy a fruity bowl of cereal every time you vape, whilst the milky aftertaste gives you the perfect finish to this cereal sensation. Custard Dynasty. You will be transported to your favourite time when you have had custard as this vaping flavour tastes just like it. Donut Blues. Satisfy your doughnut craving with this lightly sweet pastry flavouring with fresh blueberries, transporting you to a cake shop each time its vaped. Fruit Chews. A combination of sweet and fruity to satisfy your sweet tooth and to experience your favourite bag of sweets. Iced OJ. Orange juice with ice that awakens your senses with its unique sensation, perfect for a hot day or for anyone who enjoys a cool citrus sensation when vaping. Iced Tropicade. Prepare to be transported to a tropical island thanks to the mangoes, papaya and coconut blended with a cool fruity blast. Strawsome Shake. A creamy strawberry milkshake that resembles just like the popular drink. Strawbiscuit Split. Enjoy this biscuit with fresh strawberries and added vanilla anytime of the day. I was so impressed by the Brews Bros e-liquid range as all the vaping flavours taste extremely good and they cater for everyone's taste. If you like your vape to taste sweet, fruity, or you want to take your taste buds on an experimental journey, you wont be disappointed! 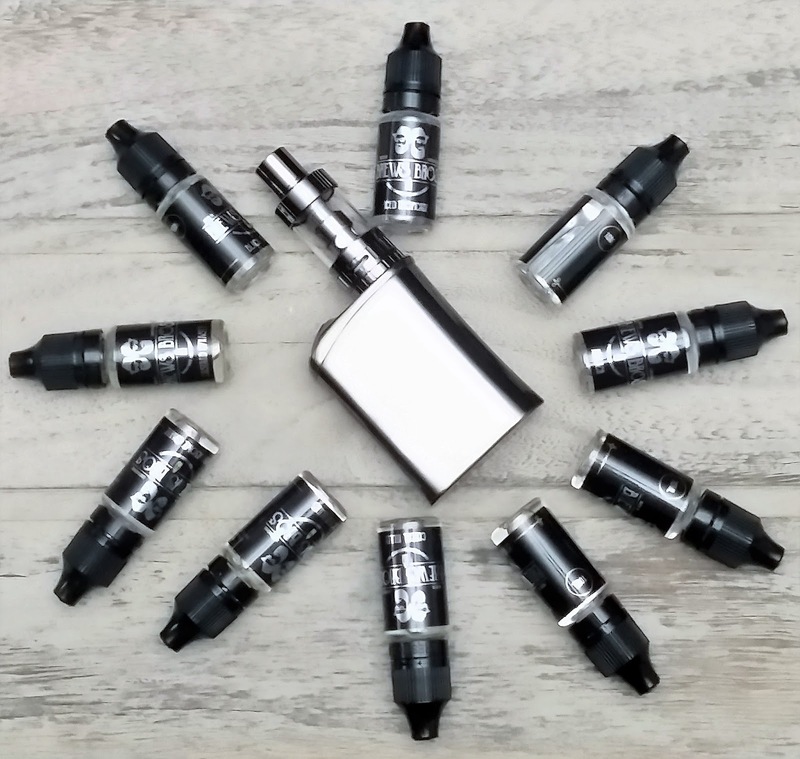 All the flavourings have depth and dimension to them whilst also producing a great vape to make your vaping experience enjoyable time and time again. The Brews Bros also supply other vaping goodies and be sure to check out their merchandise range, happy vaping! X Neil.